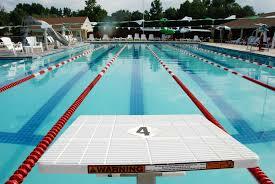 The Canal Winchester Dolphins Swim Team is open to all swimmers age 5 to 18. This is a competitive summer swim team that competes in the Tri-County Swim League. Swimmers must be able to swim the length of the pool unassisted. Membership to The City of Canal Winchester Pool is required. Residents outside of Canal Winchester may participate but are required to purchase a pool membership. This training is for coaches, current officials, and new officials. It is necessary to have a list of people attending and the session they will attend by April 30th. This year the league will provide shirts and name tags to all officials of the league. Please pass this information along to parents who have expressed interest or who have been officials in the past. Where: Town Hall / 10 N High St.
To order 2019 SWIM SUITS .... Click HERE!! Tuesday, July 9th Away @ Pataskala Porpoises "A"
$165.00 for the first child & $15 discount per subsequent child from the same family.